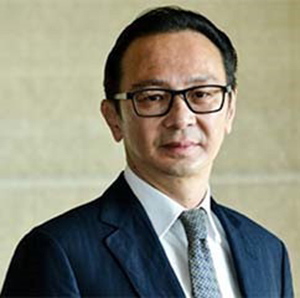 Al Njoo is Principal at the Benchmark group, Singapore, and Director of Merrill Lynch Indonesia. He began his career as a corporate and energy banker with the Chase Manhattan corporate and investment banks, and has over 25 years’ experience in energy banking and industry in Central Asia, South East Asia, China and North America. He is also co-founder and director of Calgary-based Nations Petroleum, which has successfully developed and transformed three major steam flood developments in Kazakhstan, Azerbaijan, and California. Alongside his business career, Al has been an advocate of education, impact investing and cancer research. His foundation has also provided long-term funding to a scholarship program that supports Asian students engaged in PhD cancer research at The Johns Hopkins University School of Medicine. Al has also supported Indonesian development efforts, sponsoring the building of new schools in Nias in Sumatra after the Asian tsunami of 2004, working with the NGO Geohazards International for preparedness against tsunamis, and contributed funding to the International Rice Research Institute (IRRI) to develop a program targeted at increasing the productivity of Indonesian rice farmers. He has served as board member of the UBS Impact Fund, and is a trustee of Give to Asia, San Francisco, and the Sumber Waras hospital, Jakarta.